Imagine that you are a marketing manager working in a leading travel agency in your region. 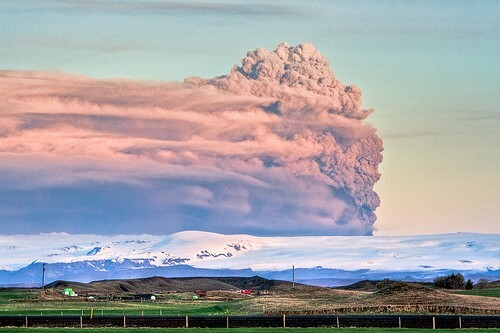 All of a sudden there`s a massive volcano eruption in Iceland which paralyzes most of the flight traffic in Europe. What do you do? How do you turn the crisis around and actually get positive results out of the situation? Is there a positive way to solve the situation when thousands of your clients are in trouble. If there is – how will you do that? The following is a case-study of how Estravel managed to deal with a major crisis using social media. 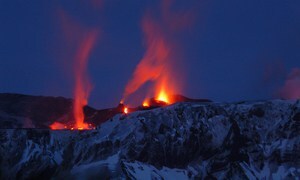 On April 15th 2010, a volcanic eruption occurred and within the next day it became clear that people will not be able to get home or travel abroad. Most of the major airports in Europe were temporarily shut down for days and your travel agency starts to experience an overload in activities. Your travel agency must cancel and change flight tickets, make annulments to already scheduled plans, organize extra accommodations to hotels and what’s most important – ease the minds of thousands of people who are unable to get home. What made matters worse, nearly 25% of Estravel’s workers were stuck abroad in Venice which meant that Estravel’s workers had to suffer a huge amount of extra work-load. Estravel’s communication strategy was to take the role of a thought leader in the local travel industry. Moreover, there was a gap in the information available at that time so their strategy was to give their clients and the general public valuable advice about how they should act in a crisis situation. It was a challenge to take a leader role on that matter. It was a decision made with scienter. And it was worth it! We strengthened our position as a most reliable travel agency with professional attitude. Sales increased conisederably within next months and our NPS score got higher and we had massive positive feedback from our clients. Estravel’s blog of crisis was created. The blog’s purpose was to give extensive advice to those stuck abroad in a crisis situation and to their relatives back home. Facebook and Twitter were used to give the latest real-time updates of the current situation. Estravel distributed information and tips to their clients and sparked people to exchange information between each other about alternative ways to get back home. Mass media was used as a tool for proactive and reactive communication. A lot of articles were post that gave solid advice on how to act. Their competitors only released statements saying about the difficult situation. First warning was posted on Facebook about Oslo’s airport being shut down. Estravel continued to give additional updates on the situation below the same post. Estravel launched their so called “crisis blog” to which all of the future updates were centralized. This included information from travel agencies, airlines. They also posted detailed instructions for those who were stuck abroad or were waiting for their next flight. Estravel was the first travel agency to give instructions to travellers about where to get the latest information. This ensured that Estravel stayed the go-to hub for the most recent and valuable information. Estravel made an in-depth protocol of action to those people in distress and in urgent need of information. This protocol gave detailed instructions about what the travellers should do and the announcement was passed along to all of the major TV stations, radios, online newspapers , etc. Estravel continued to post new information on their Facebook page. The information was informative and explained how Estravel is going to get their clients out of the crisis. They directed people to their crisis blog and asked their customers to remain calm. This announcement was broadcasted through all of the major online channels. Estravel also posted updated information about alternative ways to travel back home. Estravel continued to add extensive information to their protocol of action and announced that on their Facebook page. They made sure every piece of information was up-to-date and valuable for the customers. Additionally, Estravel continued to post the most updated news about alternative transport methods such as buses and cars. Estravel once again turned to the mass media where they recommended that all current travel plans should be postponed til May. This announcement was necessary course of action because at that point no-one had any idea when the regular flight traffic would be restored. Estravel also posted a guide to the friends and relatives of those stuck abroad. The guide’s purpose was to raise attention and give instructions about how to send money to the travellers who were unable to get back home and in urgent need of funds. Again, the announcement was also posted on Estravel’s Facebook page. Great news! Estravel announced on their Facebook page that there are first signs of recovering the flight traffic in Europe. Estravel centralized links to all of the websites of major airlines on their blog to ensure that people get the latest information as quickly as possible. The announcement about this was also posted on Facebook. It was only logical that Estravel’s detailed course of actions validated their position as an industry thought leader in Estonia and the nearby countries. Moreover, feedback from their clients increased Estravel’s Net Promoter Score (NPS) to 64% which is a great result (according to Inc, the average NPS is about 10-15%). The actions of Estravel also increased sales of the following months. In May, their sales figures rose by 12% (in comparison to 2009). This number continued to climb and in June the sales were up by 16% and 8% in July. Of course every crisis situation is unique and the course of actions might for that crisis might be different than those presented in this case study. What can be deducted from this study is that you must always be prepared for a crisis – you never know when it might hit you and in other words, failing to plan is planning to fail. It should be noted that Estravel are experts in their industry and this is why they managed to handle the crisis situation with elegance. Never in the history has a similar situation occurred so Estravel had to think on their feet. The inclusion of third parties such as airlines, insurance agencies, accomodation service providers and alternative transport providers seemed to have increased the credibility and reputation of Estravel. That is simply because they made themselves look like the professionals they really are. The actions of Estravel lead to a notable increase in sales. Take away – solve a problem publicly and you will be loved.